Intel has freshened up its x86 chip architecture compatibility figures for Android applications. Last week, the world’s largest chip maker said that Android devices with Intel Atom chips are only compatible with 70 percent of applications on Google Play Store. Now, Intel brushed up its statement to claim that 95 percent of Android app on Android smartphones running on x86 chips. The company explained further that apps using the Android SDK and running on the Dalvik Java virtual machine will work with phones running on its chips. However, Intel said that 70 percent apps use the Android NDK, so it is confident that its chips are compatible with 95 percent of all Android apps on the Play Store. The Android NDK allows developers to port apps not written in the Java programming language, which effectively bypasses the Dalvik virtual machine. The Native Development Kit Android forces more performance out of apps due to the bypass, however, the usual development pattern in Android involves developing apps through the Android SDK, which offers greater portability thanks to Dalvik. Intel claims that its chip’s app compatibility is the same with other Android chip makers. 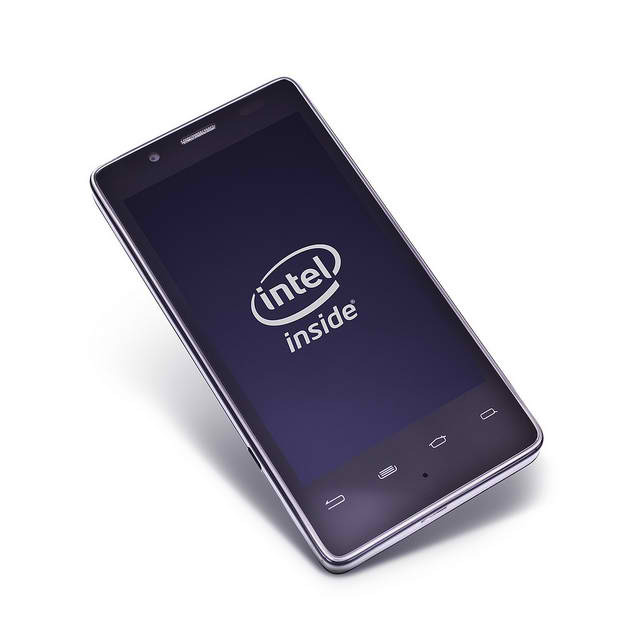 UK mobile operator Orange recently launched the first Intel x86 smartphone in Europe.